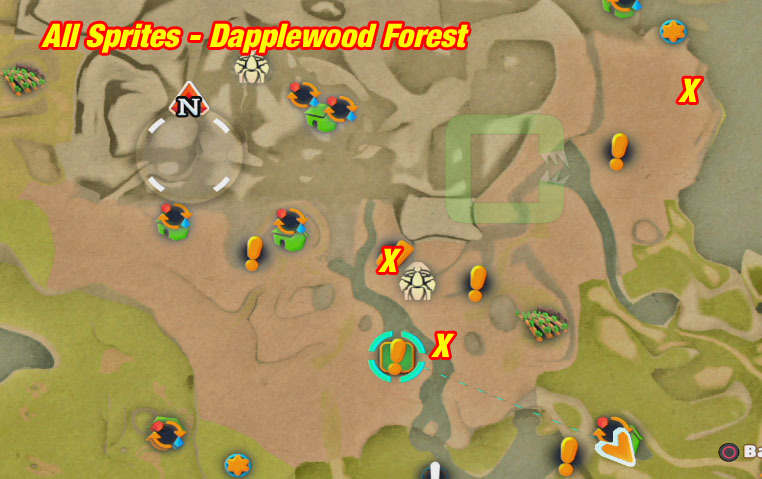 Here's where you find all the sprites in the Dapplewood Forest area. Their names are: Glow, Romp and Sap. Get the quest "Wet Weather Gear, Dear" from the girl at the river and get her a raincoat. Get the "Got fisH?" Quest from Bob and give him 5 Dip Fish.